The partisan makeup of the Iowa House will remain the same as a Republican won Tuesday’s special election to replace a longtime Republican lawmaker who died earlier this year. Tom Moore won the race with 62 percent of the vote and says the key may’ve been the turnout in his hometown of Griswold. “I’m proud to say that Griswold really backed me,” Moore said. His opponent was Democrat Tim Ennis of Corning. Moore is a retired teacher and coach, but says also served as the assistant manager at Southwest Iowa Egg near Massena for 7 years. 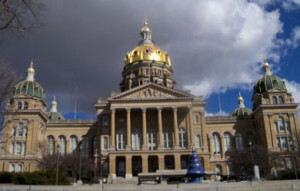 Moore will be sworn into office next month when the 2016 Iowa legislature convenes. His district covers all of Union and Adams Counties and parts of Cass and Pottawattamie Counties. Moore will fill the seat that was held by Republican Jack Drake of Griswold since 2012. Drake had been a member of the House since 1993. He died in October at the age of 81.